Three new videos highlighting the opportunities and many benefits of working in Scotland’s butchery sector have been launched by Quality Meat Scotland (QMS) and the Scottish Craft Butchers. Erin Conroy, Steven Strachan, Callum Rook of The Buffalo Farm and Stephen O’Hara of Strachan Craft Butchers in Blantyre feature in the new Meaty Career videos which highlight the opportunities and many benefits of working in Scotland’s butchery sector. The inspiring videos, entitled “Meaty Careers”, feature four young Scottish butchers from across the country who talk about how they got started in the trade, the training they have undertaken, plus career tips and advice for those thinking of a career in the industry. 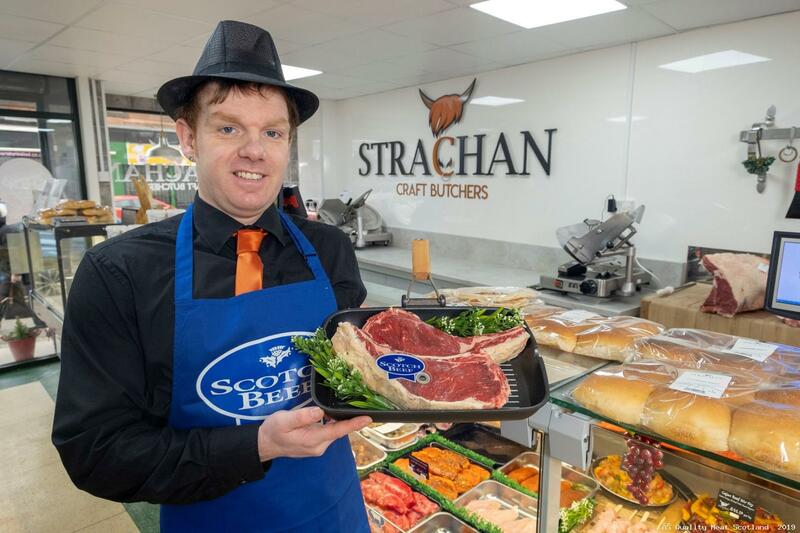 Steven Strachan of Strachan Craft Butchers in Blantyre, who appears in one of the videos, said that since becoming a butcher, he’s never looked back. 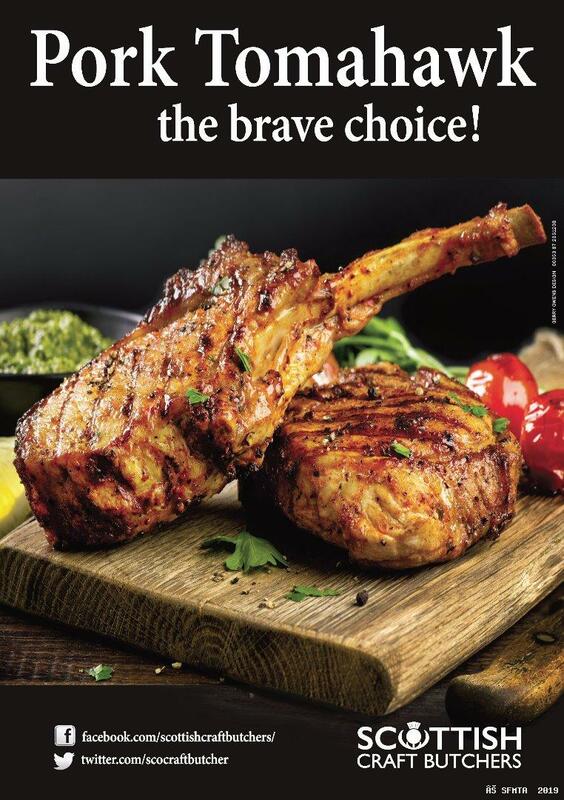 “There is a huge amount to butchery these days,” said Mr Strachan. “As well as the more traditional jobs, such as cutting and displaying meat, we also spend a significant proportion of our time preparing value-added and kitchen ready products which really cater for the busy, working customer. “If you’ve got a keen interest in the food industry and love the thought of working in a fast paced, customer-focussed environment, then I would highly recommend becoming a butcher. “It’s been the only career I’ve ever had, and it’s great,” he added. Erin Conroy of Verstegen Spices & Sauces Ltd, pictured above who features in another of the videos, has seen her career take her to international butchery competitions and work placements in Australia. “When I started out training as a butcher I never thought in a few years I would be competing in Australia against some of the world’s top butchers,” said Ms Conroy. QMS and the Scottish Craft Butchers undertake a range of activities throughout the year such as product competitions and awards to showcase the skills, innovation and enthusiasm of the modern-day butcher. These videos further build on a “Meaty Careers” booklet, produced by QMS, which covers career opportunities from farming and animal health to processing and butchery. 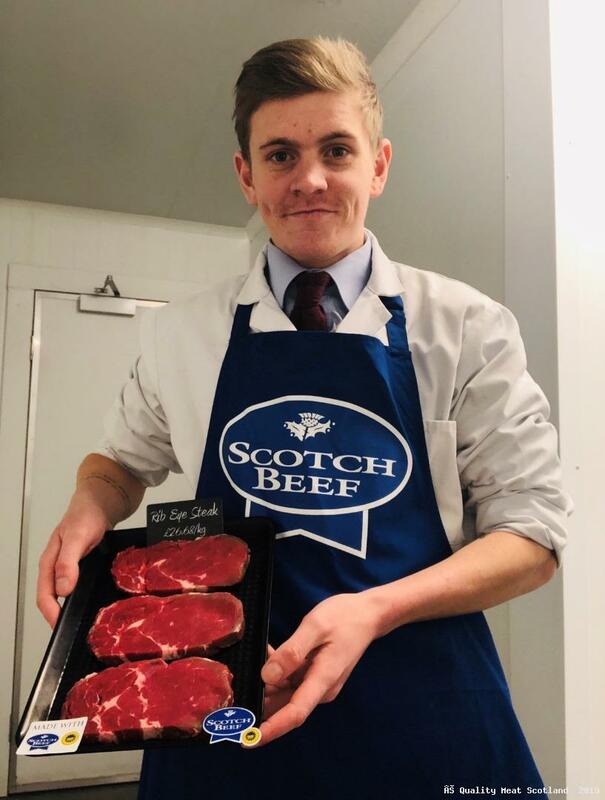 Graeme Sharp, Manager of the Scotch Butchers Club which is run by QMS, said there is a wealth of opportunities for young people thinking about becoming a butcher. Douglas Scott, Chief Executive of the Scottish Craft Butchers said: “We wanted to showcase the kind of young people that make our butchery sector tick. Their enthusiasm for our trade is very special and clear for all to see. It is fantastic to see such confidence.